When the hot summer days come around, the swimming pool is the clear choice to cool down and have fun. 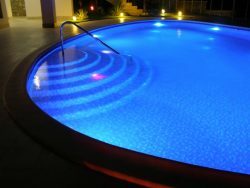 To enjoy your pool during the summer evenings as well as in the daytime, you can install outdoor swimming pool lighting to make your pool safer and more attractive at night. Glendale outdoor pool lighting comes in a several options. One option is LED lighting. 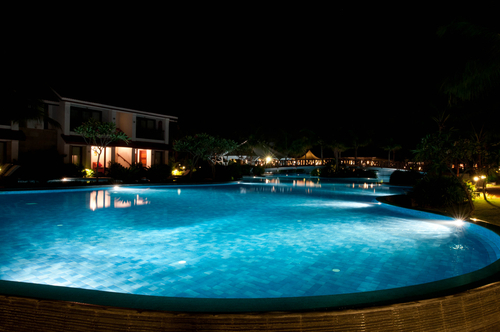 LED pool-side lighting offers a large amount of light with very little energy use. This can help save a significant amount on your energy bills over the course of a year. LED pool-side lights are made strong and waterproof which means that they do not require frequent replacing. No matter what type of outdoor pool lighting you decide on, our Glendale electricians can handle it! Call today Eavenson Electric to get a free quote and consultation.